Last time we took a look at some of the best practices for hiring staff in China your factory should be following, and in my final blog today I want to share a a survey of salaries, taxes and benefits for Shenzhen, Guangdong and Hunan to give you a bit of an inside look at compensation benchmarks in China. The following blog is based on excerpts from the whitepaper entitled “Foreign Manufacturer’s Ultimate Guide to Hiring, Training, Managing & Firing Staff in China” which can be downloaded in its entirety right here! Let’s cut to the chase, at the end of the day, salary plays a big role in employee happiness. It’s not just the amount of salary, but also the perception that they are being paid a fair wage is important to staff in China. So an employer needs to monitor the labor market to make sure the salaries offered to candidates are suitable to attract the level of talent desired. The costs of housing, annual inflation rates and even the nations GDP all impact staff salary expectations. While inflation and GDP figures are fairly easy to find and monitor in China, wages/housing/spending power varies greatly from area to area within China. For your reference, here is a study our team conducted to help make decision about where to locate our new assembly center when our long-term lease in the Buji district of Shenzhen was up for negotiation in 2015. 3B. Labor Rate Trends. What is the estimated annual increase for each location using the historic increases over past 5 years to estimate the next 5 years? 11.40% 11.40% 8.59% 9.60% 11.77% Hard to predict the future as Gov’t can change the minimum wage levels on short notice. As the economy is slowing down, we are hoping the min wage increases will not be as drastic in the next few years. This is a national rather than regional issue. 4. Utility Costs (Estimate of % change for power and water) 0% 0% 0% 0% 0% Utilities are roughly the same across all industrialized parts of S. China. 5. Ease of recruiting factory workers about the same, perhaps a bit easier to recruit if we have easier transportation and living conditions. about the same, perhaps a bit easier to recruit if we have easier transportation and living conditions. a bit easier a bit easier easier For this line item we are referring to workers on a production line. Outside of SZ it gets harder to find technical skills, experienced managers and/or English skills. 6. Ease of recruiting skilled office workers and managers easy easy a bit harder a bit harder much harder For this line item we are referring to workers on a production line. Outside of SZ it gets harder to find technical skills, experienced managers and/or English skills. 8. Tax incentives from local government 0% 0% 0% 0% should be available, however need to further check with local government Tax incentives unlikely to play a major role in the decision making process for our industry and any tax incentives that are offered usually expire within a few years. 10. Environment (quality of life, access to transport, food, shopping…) for employees it depends on which industrial park chosen, some are good, some are not good. it depends on which industrial park chosen, some are good, some are not good. it depends on which industrial park chosen, some are good, some are not good. it depends on which industrial park chosen, some are good, some are not good. it depends on which industrial park chosen, some are good, some are not good. There is large variation among options in any given area. That concludes post no. 8 out of 8 in my ‘hiring in China’ series. I sincerely hope that you found this series of value and please feel free to share your thoughts if there is anything else that you’d like to add to this post, or if you have any questions please reach out to me by leaving me a comment below. Last time we took a look at how to handle compensation claims in China so that it’s a win-win for both parties involved, and this time around I’m going to explain the essentials behind work visas for foreign staff in China! If you are a legitimate company (with a licensed operation in China) and have a legitimate need for foreign staff to be based on your China facilities, you should have no problem securing work visas for you international staff. Under declare the China salaries of your foreign staff to avoid tax. Have staff working under a tourist or business visa rather than work visa. Unless they are friends and family visiting China on non-business related activities, there is no reason to have foreigners with tourist visas in your office for more than a few hours. Some foreign employers think that the China visa is the responsibility of the foreign staff and they don’t ask their staff for proof of work visa. Trust me, if you have foreign staff working in your office without visas, you both will have a lot of trouble once discovered. Your company may be put on a blacklist and you will be unable to hire any legit foreign staff for years to come. And don’t think you can hide the visa status of your foreign staff from co-workers and authorities. I know plenty of cases of disgruntled local staff running to the labor bureau to turn the foreign employer in. Overseas clients and business associates are welcome to come to China. Every year it gets easier and easier to arrange a business visa. If you are from the USA, you can get a 10 year multi-entry visa and come and go as you please, staying for fairly long trips if needed. But if you stay longer than 90 days in China, that’s considered working here and you should get a work visa. Are the foreigners with registered work visas actually working at this location? Are there any foreigners without work visa working at this location? The last thing you want is to be in compliance with the laws, but staff get nervous during the audit and say the wrong things causing unnecessary confusion. To avoid this, I recommend not only staying in compliance, but also having a plan to explain how you are in compliance if audited. For example, there should be a representative (and a backup) in the office who represents the company when there is a visa audit. This representative, it may be the front desk receptionist or even a senior manager, who the representative is isn’t as important as what they do. They should keep a list of all foreign staff based in the facility, along with copies of the passports/visas. If staff with work visas are out of the office, the representative should be able to explain why. Telling the truth is fine. For example, Mike is on a business trip to Beijing, he’ll be back in 2 days. If you have foreigners in the office who are not on work visas, the representative should be able to explain why. Once again, the truth is the best option. Explain that the person is from HQ doing training, or explain how it’s a customer. But if this person is sitting at “their desk” with Chinese business cards and a coffee mug with a year’s stains on it…you may have some explaining to do! There is no written rule made public that states how many foreign staff can be employed by one company at one time. But I am certain each local government has some kind of unwritten rule. For example, a business with X million RMB in revenue should have no more than Y foreigners. For every foreign staff there should be X times as many Chinese. If you cross this unwritten line, you will find it hard to get working visas for staff and unless you are friends with the officials, you will never know for sure why. Obviously you need to be a registered business in good standing to hire staff, foreign or local for that matter. The staff you wish to hire from overseas must have at least 2 years of highly relevant work experience. You can’t easily hire a young person to be your marketing manager if he graduated with a teaching degree in the USA and has since then been based in China tutoring children! The job can’t easily be filled by a local Chinese person. For example, I had some difficulties hiring American sales staff because the local authorities felt there were plenty of English speaking Chinese. But my Spanish speaking candidates for the S. American marketing manager job were warmly welcome! 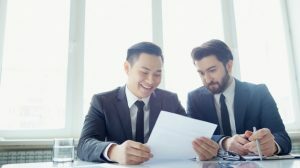 Foreign owners sometimes put too much trust into their foreign hires. Don’t foster an “us vs them” attitude around the office. Apply the same level of control over sensitive information with foreign staff as you would with local staff. That means signing NNN agreements and monitoring staff closely. In the past 5 years the number of foreigners in China has grown exponentially. I no longer recruit from overseas because I can find goods staff right here in China. But I rarely hire anybody who has less than 2 years living experience in China because the risk of culture class is just too great. It’s a real drain on my business to train up a foreigner only to have them leave China because they don’t like the pollution or have trouble with the food. By year number 2, most people will know if they are making a China career or just passing through. Speaking of culture, when selecting a point person to lead your team in China, don’t assume that Chinese language or even ethnicity equates to Chinese business understanding. I know of more than one major N. American company that has pulled junior staff out of departments like accounting and marketing and tapped them to be the point person on major sourcing projects simply because they were Chinese-American. I know of countless exchange students from Asia who went to the US and EU to study English, history, and even music only to be plucked out of the universities to join a Western company as their sourcing team leader. I don’t know of one success story from all of those examples. Every time the project failed because the Chinese person assigned was hired because his or her only qualification was being Chinese or at least looking Chinese. In reality, an understanding of negotiation, logistics, and engineering and, especially, sourcing experience would be far more important criteria when selecting a sourcing project leader. Language and ethnicity should be far down the list of priority skill sets. In addition, don’t assume that all ethnic Chinese, even those with business backgrounds, are automatically able to do business successfully in mainland China. 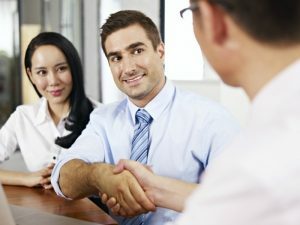 I have seen numerous overseas Chinese (Asian Americans, Taiwanese, Singaporean, and especially Cantonese (Hong Kong) complicate the employee-employer relationship because their cultural baggage alienated members of the team. I’m sure what I am about to say is not politely correct, but it seems that a lot of overseas Chinese have a superiority complex and look down on their cousins in the Mainland as being a bit backward and unsophisticated. On the other hand, a certain amount of up and coming mainland Chinese have an inferiority complex and may take issue with being “bossed around” by an overseas Chinese (especially those from HK and Taiwan) while they would look at the same directives coming from a European or American as just part of the job. I would be crazy to say that the language and cultural understanding that an overseas Chinese brings to the table as a project manager is not of value. But I firmly believe that ethnicity alone is not the best criterion for selecting a project manager. Focus on the whole package when picking a team leader. That concludes post no. 5 out of 8 in my ‘hiring in China’ series. Stay tuned for the next post in the series where we’ll take a look at what really happens during a labor dispute! 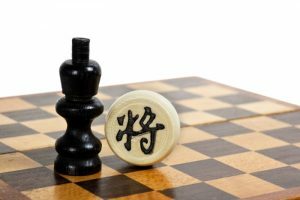 Last time we took a look at what foreign manufacturers need to know about China’s mandatory benefits, and this time around I’m going to walk you through how to handle compensation claims in China so that it’s a win-win for both parties involved. Early on in my career when I set up my WFOE I realized that HR issues would be a challenge so I allocated a big chunk of payroll to hiring a top notch HR manager. You would think that having a professional HR manager would be enough to ensure that your HR policies and contracts would be kept up to date and that the company would stay out of trouble. I went so far as to explain to the HR manager that I know there will be gray areas, but error on the side of caution even if it costs more than operating in the gray. I realized the HR manager was engaged in activities in violation of her contract, such as moonlighting on side projects and perhaps taking bribes. I terminated her employment. Despite a gracious severance package which was well beyond my legal obligations to her, the employee took things personal and wanted to create as much drama as possible. She reported me to the labor bureau and tax authorities for so-called contract violations and tax avoidance. Here claim was that our company didn’t pay our full contributions to local government for mandatory benefits and that salaries were under declared in order to avoid tax. The craziest aspect of the case was that during her time with our company, she was the very person responsible for ensuring our company was compliant with those very issues! Long story short, I learned that our company, under the guidance of that very HR manager, had indeed been slightly under declaring tax and not paying full benefits in accordance with current regulations. As these regulations were recently changed and as the vast majority of businesses in China were way worse in their non-compliance, the local authorities were reasonable toward my company. After a diplomatic negotiation we settled on a one-time penalty of less than 10,000 USD and our company to this day retains our “top class local tax payer” status and “model employer” recognition with the labor bureau. The company will be held responsible for the mistakes of its employees. If you do face an audit, having a written HR policy is so much better than having no written HR manual. Without a written manual, the auditors will assume you are not compliant in all areas! HR managers are expensive. HR Lawyers are not. These days I actual save money and have a better compliance by NOT hiring an expensive HR manager. I hire a HR manager with reasonable experience at a reasonable salary package, then I spend a few 1000 USD once every year to have an HR lawyer do a full audit of my contracts, rules, SOP’s, templates…everything. 24,000 RMB: Full HR audit by a Top Notch lawyer. Once per year. 10K savings X 12 months = 120,000 minus 24,000 for the lawyer = 96,000 RMB in savings per year. That’s 480,000 RMB (about 75,000 USD!) in savings over the past 5 years. China’s HR rules and regulations are constantly being changed or updated. The annual review by a reliable 3rd party is essential. That concludes post no. 4 out of 8 in my ‘hiring in China’ series. Stay tuned for the next post in the series where I’ll explain the situation behind work visas for foreign staff in China! Last time I walked you through how to legally fire staff in China and prevent costly lawsuits, and this time around we are going to take a look at what foreign manufacturers need to know about China’s mandatory benefits. Mandatory benefits and the interpretation/enforcement of the rules by local authorities varies from province to province , city to city and even district to district! In general, the interpretation/enforcement is getting stricter each year and so are the fines for non-compliance. 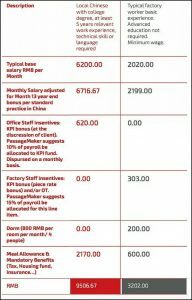 For your reference, let’s take two typical employees in China and offer a breakdown of the expected benefits based on their salary. One column is for a mid-level office worker and the other column is for a typical factory worker making minimum wage. That concludes post no. 3 out of 8 in my ‘hiring in China’ series. Stay tuned for the next post in the series to find out how foreign employers can protect themselves in China. Hiring in China? Pro Tips to Save You Time, Money and Legal Issues! First off, I’d like to extend a warm welcome to everyone joining me for my ‘Hiring in China’ series. We will cover how to build a stable relationship, how to structuring effective labor contracts and even how to create mechanisms for monitoring the relationship and monitoring compliance with the labor contracts. My goal in writing this material is to offer an affordable and effective way to protect the foreign employer while being fair to the employees. This is not a guide on how to outsmart your employees. 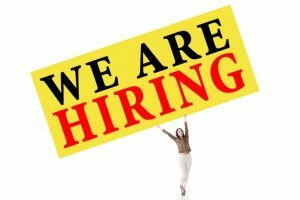 Blog #1: Hiring in China? Pro Tips to Save You Time, Money and Legal Issues! Most of the points in this section are applicable to the recruitment of both factory and office workers, but there are some special considerations when recruiting factory staff. Gone are the days that I remember so fondly, when we just hung a hand-written “We’re interviewing” sign on the factory front gate and there would be a long line of highly qualified candidates willing to start work on the factory floor for minimum wage. Thanks to the one child policy, there just aren’t as many 20 year olds looking for a job. The rural interior of China is developing rapidly. Workers finally have job opportunities back home. So there is less of a need to travel 1000 miles to a factory on the coast and only come home to see the kids at Chinese New Year. Finding “good” (meaning affordable, stable & loyal) office staff has always been a constant challenge in China. But these days, finding “good” factory staff is a real challenge too. Give a bonus for existing staff who introduce new staff. But have clear rules about hiring family members and beware of cliques on the factory floor. Send a recruitment team to the interior and offer special support with the transportation to the new job site. Find ways to make it easy for staff to get back home for Chinese new year. For example, staggering production so staff can leave early/late and come back early/late. Keep an eye out for factories closing near your factory. This is a great place to find new staff! Build an internship/work-study program with local trade associations and colleges to train and recruit new staff. Pay above minimum wage and offer meaningful benefits. I love the saying “if you don’t know what you are looking for, every road will take you there”. In this case it means that if you don’t have a well-defined description of the candidate you are looking for, you will most likely end up hiring somebody that isn’t the perfect fit for the job. In the West, because the typical office has a lot less people than in China, it is common for staff to have multiple titles and perform multiple roles. We don’t put a lot of stress on the job titles. For example, the CEO of a small company may be doing the same jobs as maintenance staff at a large company! We tend to throw around the terms “manager, director, supervisor” indiscriminately. It’s very much the opposite in China. Staff take their job titles very seriously. Because even small companies in China can have 1000 employee, the term “manager” really means something. When recruiting in China, be sure you are using the right job title. When in doubt, use a title a rank or 2 lower than you would back home. The job description is very important, especially when you consider that foreign employers and local staff may have different perceptions of what a given job title entails. Be specific. Is this a desk job or do you expect them on the factory floor managing things? Is there a lot of travel involved? It’s in your best interest to let candidates know upfront how many people they will manage and to whom do they report? This is especially important if there are international teams on the project. In the West we would assume that if somebody makes it to the top rungs of the corporate ladder, they would know how to lead a team. Not always the case in China. I have come across some great candidates (on paper) for top positions in my company who were actually terrible at managing teams. The reason is that they always had an assistant or a Vice GM to handle communications and they focused on strategy from behind a desk. In some countries is may be considered age discrimination to state a target age for the candidates. But in China it is quite common. So go ahead and state it in your job advert and use it as a tool for narrowing down the pool. When asking about experience, set targets for both the # of years and type of experience. I’m usually in a rush to hire new staff, so for me, time is of the essence and stating the target salary helps cut to the chase. 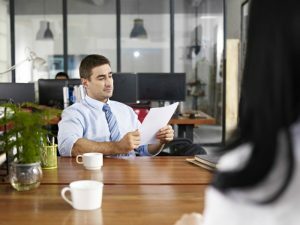 But many recruiters are hesitant to state their salary targets on the job description, instead preferring that the candidates list their expected salary when they apply. Unless you are a professional recruiter in China and really understand the labor market it may be hard for you to judge if the expected salary as listed by the applicant is on par with their experience. 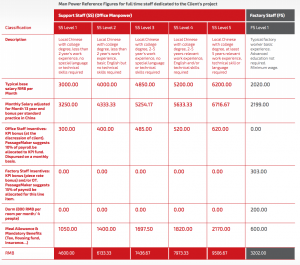 Stating the target salary in the job advert avoids those issues. And you can always adjust the target salary if you aren’t getting the type of candidates you desire. Unless you are looking for a very unique skill set, most likely your search can remain location. And if you make it a nation-wide search you will be overwhelmed with too many resumes and waste a lot of money/time setting up face to face interviews. China has 300 cities with populations of over 1 million people. So pretty much anywhere you go in developed China, there is a large pool of local candidates in that same province, same city and perhaps even same neighborhood! So be clear about the location of the job on your advert. Don’t state “City/Province”. State “Address, District, City, Province.” The added advantage for your recruitment process is that candidates will often be willing to work for a slightly lower wage target if they can stay close to their family. So try to fill the job locally when possible. That concludes post no. 1 out of 8 in my ‘hiring in China’ series. Stay tuned for the next post in the series to find out how to legally fire staff in China and prevent costly lawsuits! https://www.psschina.com/wp-content/uploads/2016/12/Hiring_in_China_Tips_for_finding__interviewing_good_candidates.jpg 525 700 Mike Bellamy http://www.psschina.com/wp-content/uploads/2016/11/logo-PassageMaker-China.png Mike Bellamy2016-07-22 12:26:012017-05-11 07:42:01Hiring in China? Pro Tips to Save You Time, Money and Legal Issues! During my 20 years living in Asia, I’ve owned a number of different business entities in greater China, ranging from China WFOE’s to HK holding companies to service companies. I’ve represented fortune 500 companies as well as startups in their dealings with China. I’ve hired hundreds of employees over the years and dismissed dozens. I’ve been dragged into labor disputes with unpleasant outcomes and I’ve also sent staff to jail for contract violations and unauthorized activities. I’ve recruited, hired and trained local Chinese staff as well as China-based N. Americans, Europeans and Asians. Who will benefit from reading this whitepaper? Foreigners who own a WFOE or are thinking about setting up a WFOE will benefit the most from this whitepaper, but the concepts discussed in the whitepaper are applicable to any foreign business person who is wants to recruit, hire and manage a team in China. What can reader’s can expect to gain from this whitepaper? This whitepaper is designed to offer both a general framework for how to structure your dealings with the employees in China (both Chinese and Foreign) as well as provide practical tools, tips and best practices for your day-to-day interactions with staff. My goal in writing this whitepaper is to offer an affordable and effective way to protect the foreign employer while being fair to the employees. This is not a guide on how to outsmart your employees or find loop holes in the China labor laws.